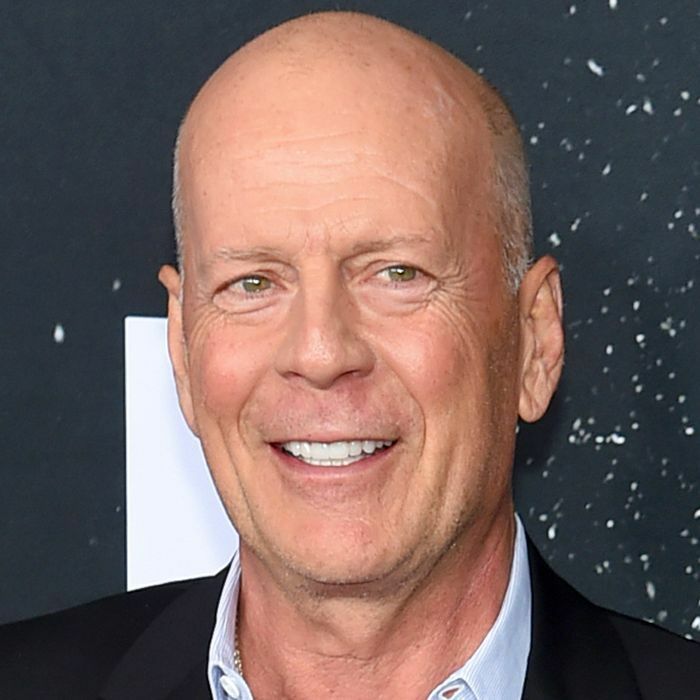 Bruce Willis may currently be grabbing the attention of the public thanks to the release of his new film Glass, but it's his New York country home that's really catching our eye. The actor recently listed his 22.6-acre property in Bedford Corners, New York for a casual $12.95 million, according to Realtor.com. He and his wife Emma Heming reportedly made the decision to let go of the stunning home that was built back in 2009 in order to be closer to their family living in Los Angeles. They Will be saying goodbye to an estate comprised of four homes and located a quick 40-minute drive outside of Manhattan. Completely secluded in the countryside, the property offers panoramic views of the Croton Reservoir. The main house alone spans 9000 square feet and includes five bedrooms, a gym, a wine cellar, a vegetable garden, a saltwater pool, and a tennis court. Of course, there's also another lot with a three-bedroom farmhouse, a one-bedroom house that sits on top of a three-car garage, and a fully furnished pool house complete with its own kitchen. In total, the estate boasts a total of 12 bedrooms, nine full bathrooms, three half baths, plenty of extra living and entertainment spaces spread across 13,791 square feet. Curious to see what the inside of this massive property looks like? Keep scrolling to find out. The exterior of the country estate looks charming and exudes east coast vibes. Note the quaint brick walls and the numerous windows just waiting to let in the sun's natural light. Once inside, the foyer immediately catches the eye thank to a winding staircase and tall, vaulted wood beam ceiling. Upon first impression, the home feels both old-fashioned and modern. We can't get over this light-filled living room. The crisp white sectional offers plenty of seating option and contrasts beautifully with the dark hardwood floors. On the other side of the open layout living room, you'll find this cozy nook perfect for curling up by the fire on a chilly winter's day to read to a good book or enjoy a film. The kitchen offers just as much natural light as the living room with the addition of French doors. There are also modern appliances paired with red oak wood cabinetry. Of course, even the kitchen has a roaring fireplace. Just imagine eating breakfast with this expansive view and the warmth of a fire to keep you company. We can't think of anything better. The dining room also offers a fireplace, along with a contemporary pendant chandelier and an intimate table for six. It's just the place to host a small dinner party with friends out of the city. Upstairs, the home boasts an office that doubles as a screening room with the help of a hidden projection screen that hangs above the staircase. You have to wonder whether or not Willis ever watched his own films up here. The master bedroom is about as luxurious as you'd expect. Tall A-frame ceilings flow with the architecture of the rest of the property while white carpet, paint, and furniture keep the space feeling utterly contemporary. The room even comes with a small sitting area by a fireplace and balcony flanked by more Frend doors. Just outside is a seemingly endless view of the natural surroundings. The master bath features striking black and white marble walls that span into the walk-in shower. There's also a freestanding tub and a direct view of the reservoir. To contrast the highly contemporary white marble, the bathroom also featured light oak accents in the form of double mirrors and cabinets. The overall look pairs the same traditional yet modern style that envelopes the entire property. No east coast country escape would be complete without a charming telescope room. You could spend hours staring at the stars from the panoramic views of this section of the house. Even the property's pool house looks luxurious. The wood beamed ceilings and hardwood floors look rustic paired with leather and white accents. Plus, the overall symmetry of the place is simply satisfying. Naturally, the pool house comes with its own kitchen. If we didn't know better we'd think this was located in the main house—it's just as modern and spacious.